Set aside for a special purpose? One could only hope that someone has intentions of saving this sad looking Porsche 914. If most junkyards are car cemeteries, then this one's an elephant graveyard. 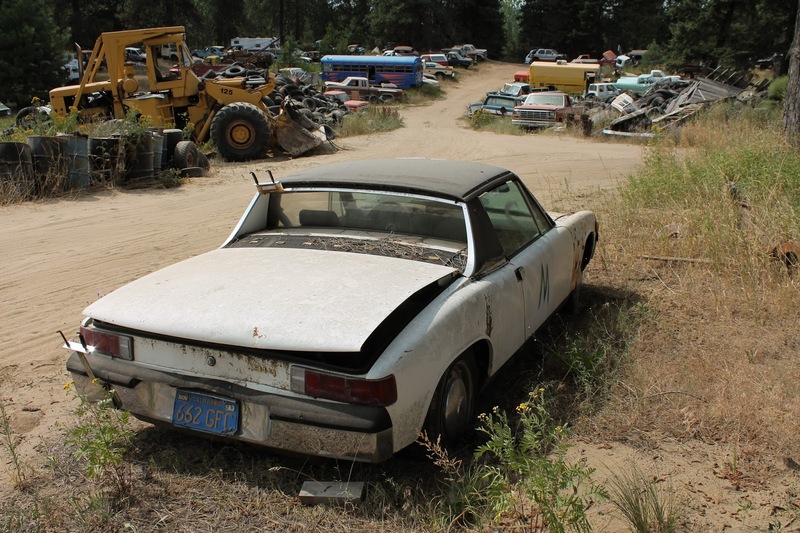 Featuring Lancias, SAAB's, Porsches, Fiats and a healthy smattering of domestic iron, Arrow Auto Salvage has a little something for everyone. Let's take a closer look and see what makes this place so different. Article can be found here on Curbside Classic.